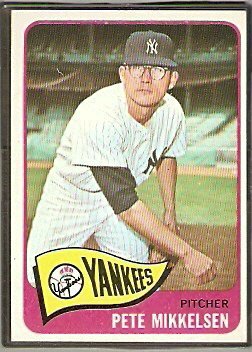 October 25 – Happy Birthday Lee MacPhail Jr.
Today’s Pinstripe Birthday Celebrant is the only member of the Baseball Hall of Fame who’s father is also a member. Lee MacPhail’s dad Larry was one of baseball’s most legendary executives, running both the Cincinnati Reds and Brooklyn Dodger organizations before becoming a part owner of the Yankees in 1946. Lee had a much quieter demeanor than his hard-living and combative father and was generally considered one of the kindest and most liked executives in baseball during his career. That career got its real start in 1949, when the younger MacPhail took over as director of the Yankees’ minor league system. That system had been built by geniuses like Ed Barrow and George Weiss, so there was a lot of pressure on the new guy to maintain its excellence as a breeding ground for future pennant winners. Many baseball people thought MacPhail had only got the job because of his last name, but he proved those detractors wrong by operating brilliantly in that capacity. New York’s farm system produced an unprecedented flow of quality big league players all throughout the decade of the 1950’s. 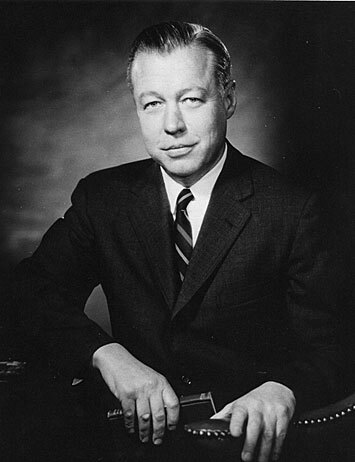 In 1959, MacPhail became General Manager of the Baltimore Orioles. When he left that job in 1965 to become an assistant to Baseball Commissioner, William Eckert, he left an Orioles’ team poised to win a World Championship in 1966 and a thriving minor league system that would keep the O’s near or at the top of the AL East standings for the next decade. He returned to the Yankees in 1967 to take over as GM from Ralph Houk, who had returned to the dugout to skipper the team after Johnny Keane had failed miserably in that role. It was an unsuccessful era in the organization’s history, notable because for the first and only time in franchise history, the Yankees were owned by a corporation and not wealthy individuals. Suddenly the team’s performance was being judged by profits and loss instead of wins and losses, making MacPhail’s job especially difficult. He did however make progress. He traded for Sparky Lyle, drafted Thurman Munson, and negotiated the deals that brought both Graig Nettles and Lou Piniella to New York. Things got hairy for MacPhail in New York when George Steinbrenner took over the team in 1973 and brought Gabe Paul with him. It soon became apparent to the beleaguered GM that neither “the Boss” or Paul respected his opinions on much of anything, so he got out of the Bronx when the getting was good and took over as AL President from the retiring Joe Cronin. He served in that capacity for the next decade and is credited for leading the negotiations that ended the 1981 Players strike. He also got some revenge on Steinbrenner, when he overruled the umpires decision to negate George Brett’s home run in the famous “Pine Tar” game between the Yankees and Royals in 1983. MacPhail was selected to join his father in Cooperstown in 1998 and he lived to the age of 95, passing away at his home in Florida in November of 2012. He lived to see both his son Andy and grandson Lee MacPhail IV extend the family’s involvement in MLB front offices to a fourth generation. MacPhail shares his birthday with another AL President with Yankee roots, this former Yankee reliever, this one-time Yankee shortstop and the team’s current bullpen coach. Mike Harkey is currently the New York Yankee bullpen coach, but twenty-five years ago, he was the number 1 draft choice of the Chicago Cubs. In fact, he was almost the number 1 overall pick. Since Mariners’ owner George Arygos lived in Orange County, California, he had taken an active interest in the baseball program at nearby Cal State Fullerton. The Titans had won the NCAA Division 1 baseball title in 1984 and a year later the 6’5″ Harkey joined the program and became a dominant right-handed collegiate pitcher. As draft day approached in 1987, the Mariners owned the top pick overall and Arygos let his front office know he wanted to use it to take Harkey. Seattle’s scouting office had other ideas and they were successful convincing their boss they were right. So Seattle used that top pick on Ken Griffey Jr. and Harkey was selected by the Cubs two picks later. Harkey’s problem was a chronically weak right shoulder. 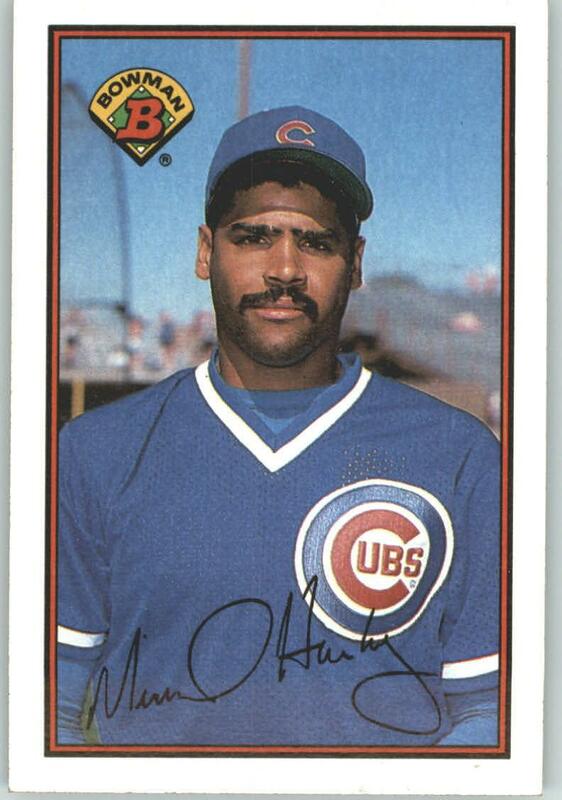 After putting together a 16-4 record in his first full season in the Cub farm system, his shoulder gave out plus he injured his knee and he missed the entire 1989 campaign. Cubs manager, Don Zimmer made Harkey his fifth starter to open the 1990 season and the rookie responded by winning five of his first six decisions. Frustrated by his team’s mediocre record, Zimmer decided to go with a four man rotation during the second half of that season and Harkey’s shoulder just couldn’t bear the added strain. He managed to finish that season 12-5, good enough to get him a fifth place finish in that year’s Rookie of the Year voting but he would never again pitch as many innings (179) or win as many games (12) during his eight-year big league career. The San Diego native got into coaching after his playing days were over and in 2006 he was hired by the Marlins as Joe Girardi’s bullpen coach. When Girardi became the Yankee Manager two years later, he hired Harkey to serve in the same capacity with New York and he’s been mentoring the team’s reliever corps ever since. Harkey shares his October 25th birthday with this former Yankee shortstop, this former Yankee reliever, this former Yankee GM and this former Yankee third baseman turned medical doctor. The story goes that George Steinbrenner loved the Twins switch-hitting starting shortstop, Roy Smalley. So even though New York already had Bucky Dent and the promising Andre Robertson at that position for the 1982 season, the Yankees sent reliever Ron Davis and a young shortstop prospect named Greg Gagne to the Twins in April of that year to get Smalley in pinstripes. Roy had the bloodlines for baseball. His Dad had been a pretty good infielder for the Cubs in the 40s and his Mom’s brother was long-time big league player and manager, Gene Mauch. But ancestry and being good in Minnesota did not assure success in the Big Apple and Smalley was never comfortable as a Yankee. He did hit 20 home runs his first season in the Bronx and 18 during his second, but by 1984 Steinbrenner had tired of him and he was dealt to the White Sox. In the mean time, Ron Davis never turned into the closer the Twins needed, but Greg Gagne became a popular leader and starting shortstop on the great Twins teams of the 1980s. Roy was born on October 24, 1952, in Los Angeles. 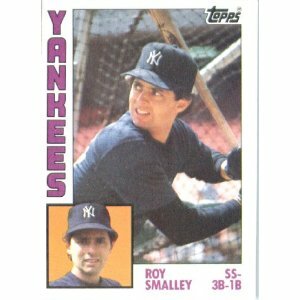 In the baseball card pictured with today’s post, doesn’t the larger image of Smalley look a lot like comedian Ray Romano? Also notice on the card that Smalley’s positions are listed as shortstop, third and first base. This is indicative of the early-eighties chaos with the New York lineup. It seemed hardly any Yankee back then knew what position he’d be playing game-to-game. Smalley shares his October 25th birthday with this former Yankee GM, this former Yankee reliever , this former Yankee turned medical doctor and this Yankee bullpen coach. When workhorse relievers Steve Hamilton and Hal Reniff both got hurt during the 1964 regular season, the Yankee front office and manager Yogi Berra were forced to improvise with their bullpen. One of their moves was to rely on a 25-year-old rookie right-hander named Pete Mikkelsen. He had been toiling in the team’s farm system for the six previous seasons, mostly as a starter. In 1963, while playing winter ball, he strained his back. The injury prevented him from throwing with his customary overhand motion so to compensate, he was forced to develop a sidearm delivery. This new motion gave his fastball a natural sinking movement and upon the urging of his teammate and catcher at the time, the veteran Rube Walker, Mikkelsen took his new found sinker to the bullpen and worked at becoming a relief specialist. Berra began using the right-hander liberally during his 1964 rookie season and he responded well by winning seven games and saving 12 more in his 50 total appearances, as New York rallied during the last month of the season to capture the AL pennant. Berra often credits the rebuilt Yankee bullpen featuring Mikkelsen and late-season acquisition Pedro Ramos for making that title possible. In that year’s World Series against the Cardinals, Mikkelsen had the misfortune to pitch in all four Yankee defeats. But he came oh so close to instead getting a key win in that Fall Classic. In the fifth game, with the Series tied at two apiece, Mikkelsen came on in the eighth inning with New York trailing 2-0 and got five consecutive outs. In the bottom of the ninth, with a runner on first, Joe Pepitone hit a shot up the middle that slammed off pitcher Bob Gibson who recovered in time to nip Pepitone at first. So when Tom Tresh came up next and smashed a home run, it tied the game at 2-2 instead of winning it, as would have been the case if Gibson had not been able to make that magnificent play. I can still remember watching Mikkelsen surrender a three-run home run to Tim McCarver in the top of the tenth and becoming the goat of that game and the Series. In fact, since the Yankee dynasty went into total collapse after that series, those Yankee fans that remember Mikkelsen usually do so with negative recollections. After a poor statistical year the following season, Mikkelsen was traded to Pittsburgh, where he had a great season. He also pitched very effectively in the Dodger bullpen later in his career. He retired after the 1972 season with a 45-40 career record, a 3.38 ERA and 49 career saves. This former Yankee had much more World Series success in Pinstripes than Mikkelsen did, while this former Yankee shortstop spent thirteen seasons in the big leagues without playing in one post season game. Both these guys share Mikkelsen’s October 25th birthday as does this Yankee bullpen coach and this former Yankee GM. This is not the switch-hitting Bobby Brown who played a lot of outfield for the Yankees in 1980. 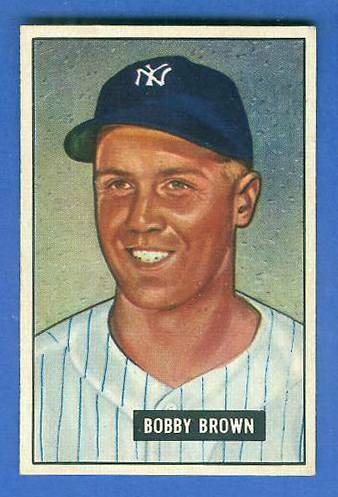 This is the Bobby Brown who was a decent hitting, terrible fielding utility player for New York in the late forties and early fifties. This is the Bobby Brown who shined in four Fall Classics as a Yankee and holds a .439 lifetime World Series batting average. This is the Bobby Brown who gave up baseball to become a cardiologist and then gave up his medical career to become a front office executive for the Texas Rangers and then President of the American League. This is not the Bobby Brown who married Whitney Houston. Brown shares his October 25th birthday with another former AL President, this former Yankee reliever from the early sixties, this former Yankee shortstop from the early eighties and this Yankee bullpen coach.